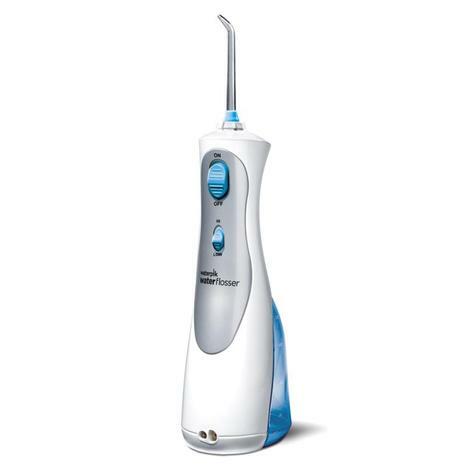 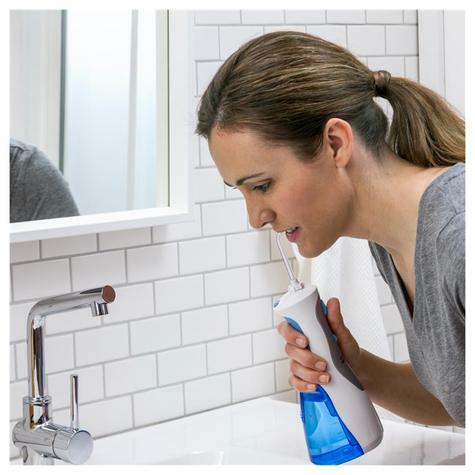 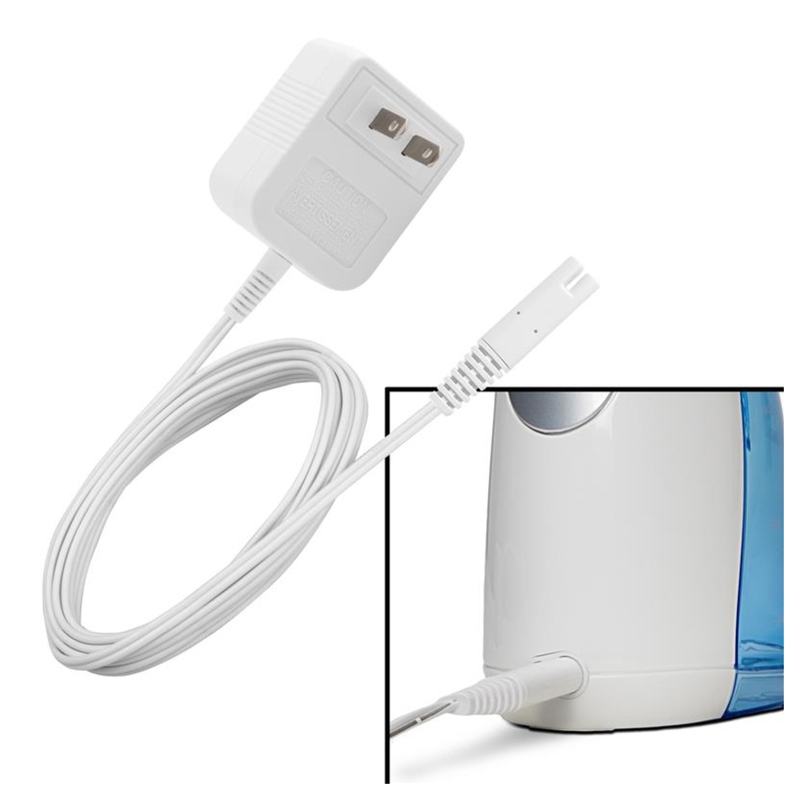 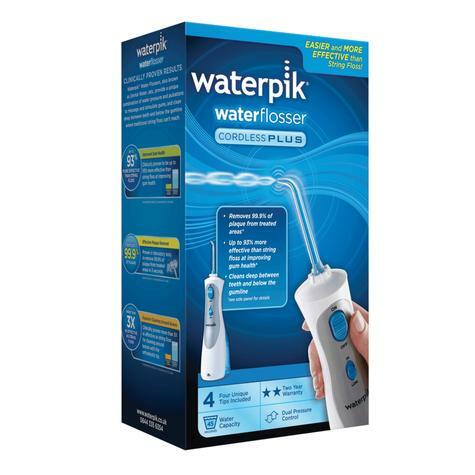 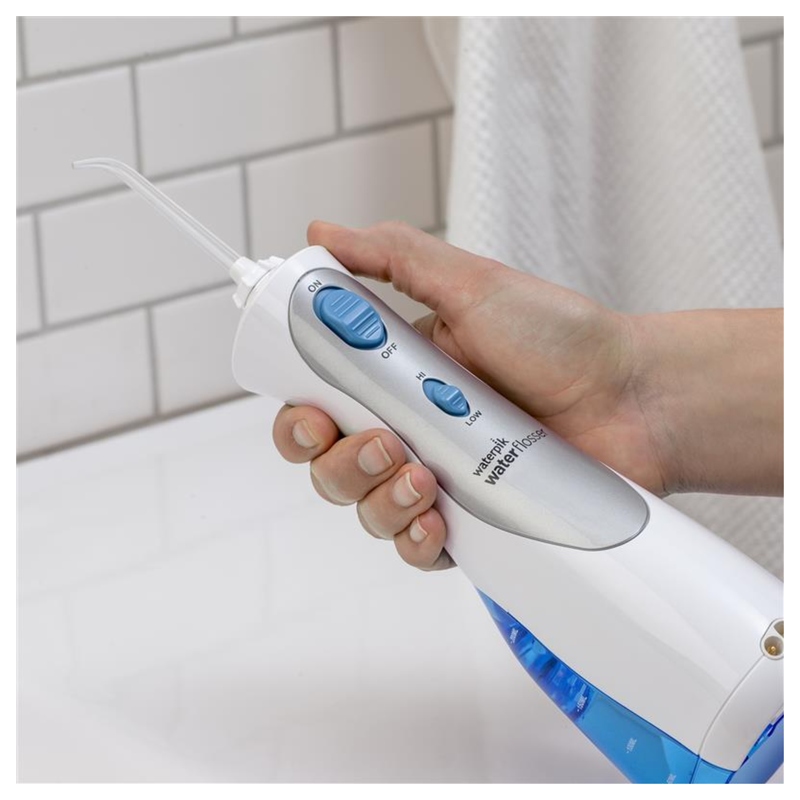 Waterpik Cordless Plus Water Flosser WP-450 eliminates 99.9% of the dental plaque in treated zones.With a one minute use per day, it improves the gums health up to two times more effectively than dental floss. In addition it is easier to use. 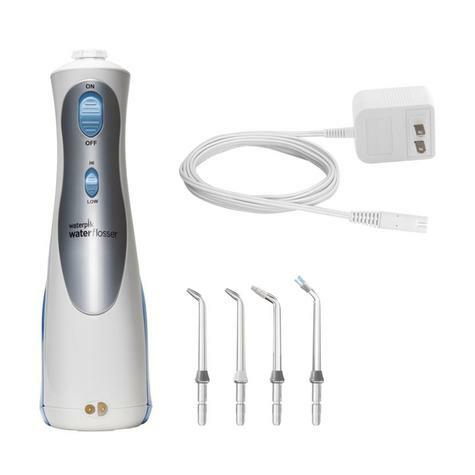 Ideal for the braces and dentures, it cleanses around them thanks to special tips.Real massager and gums stimulator, it can also be used with a mouthwash.Features:- Rechargeable batteries- Tips rotate to 360°- Tip release button- Advanced ergonomic design (easier handling)- Easy-fill reservoir- Double pressure control system- 45 seconds water capacity4 tips:- Classic jet, for general use- Plaque seeker for implants, crowns, bridges and dental polish- Orthodontic for braces- Tongue cleaner for a fresher breathe.Warranty: 2 years. 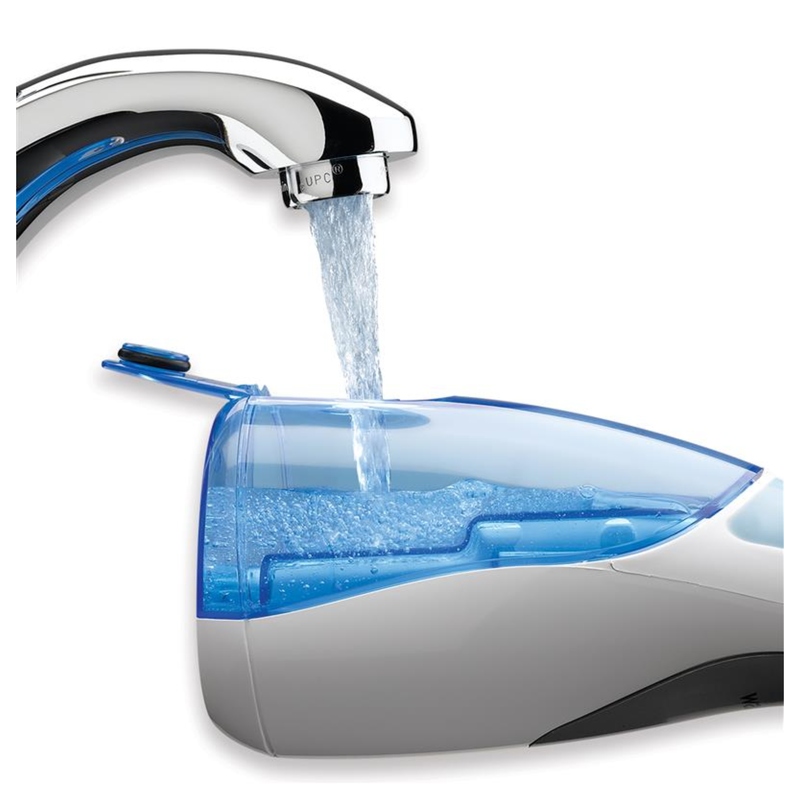 Pressure range is 45 to 75 psi. Visit our Ebay Shop for Other Waterpik Items. 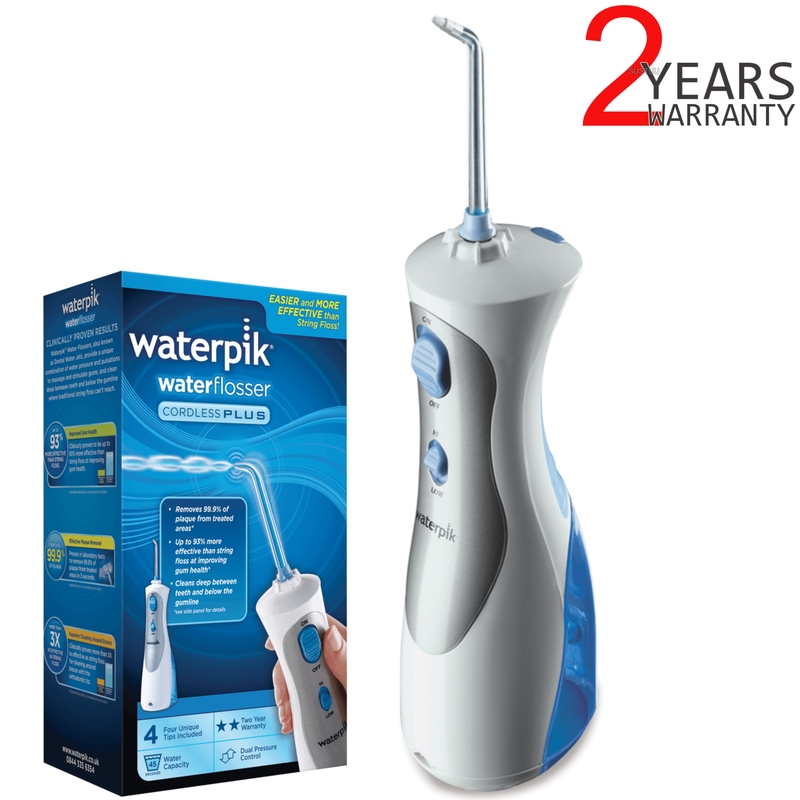 Buy with Confidence from a Waterpik Authorised Dealer and All Purchases come with a VAT Receipt.